The seductive elegance of classical finance theory is powerful,yet value investing requires that we reject both the precepts ofmodern portfolio theory (MPT) and pretty much all of its tools andtechniques. 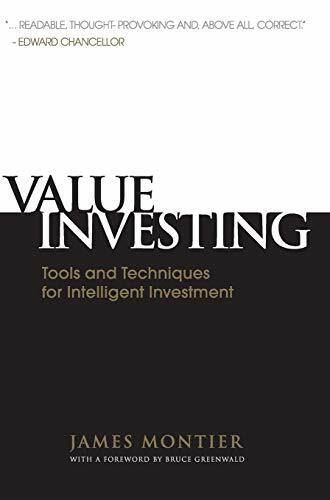 In this important new book, the highly respected andcontroversial value investor and behavioural analyst, James Montierexplains how value investing is the only tried and tested method ofdelivering sustainable long-term returns. James shows you why everything you learnt at business school iswrong; how to think properly about valuation and risk; how to avoidthe dangers of growth investing; how to be a contrarian; how toshort stocks; how to avoid value traps; how to hedge ignoranceusing cheap insurance. Crucially he also gives real time examplesof the principles outlined in the context of the 2008/09 financialcrisis. In this book James shares his tried and tested techniques andprovides the latest and most cutting edge tools you will need todeploy the value approach successfully. 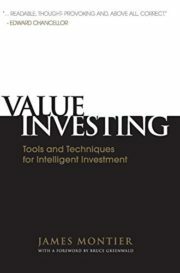 It provides you with the tools to start thinking in a differentfashion about the way in which you invest, introducing the ways ofover-riding the emotional distractions that will bedevil thepursuit of a value approach and ultimately think and actdifferently from the herd.